Organised by Warner Music Malaysia, multi-talented artists Roy Kim was here in Malaysia for his promo tour last week. Throughout his trip in Malaysia, GOKPOP was lucky to be granted a golden chance to conduct an exclusive interview with Roy Kim. 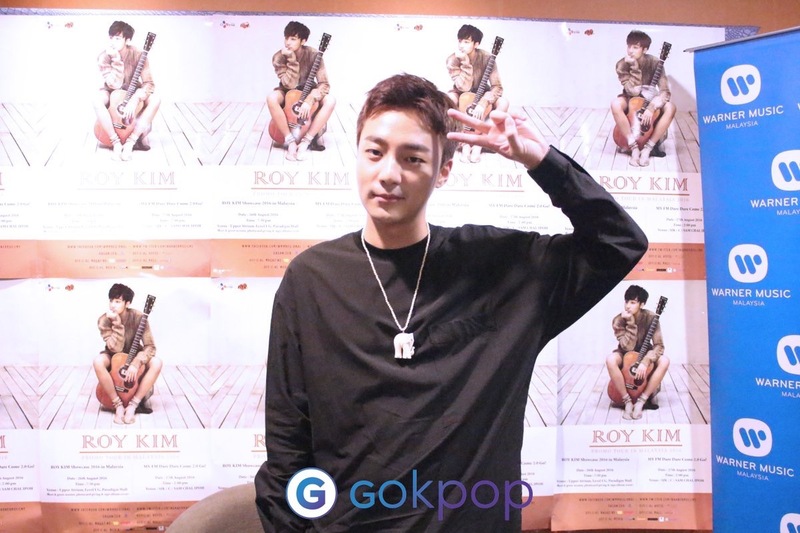 During the interview, Roy shared with us about his thoughts on Malaysia, his feeling after winning one of the South-Korea famous singing competition program, "King Of Mask Singer", advise to himself and more. 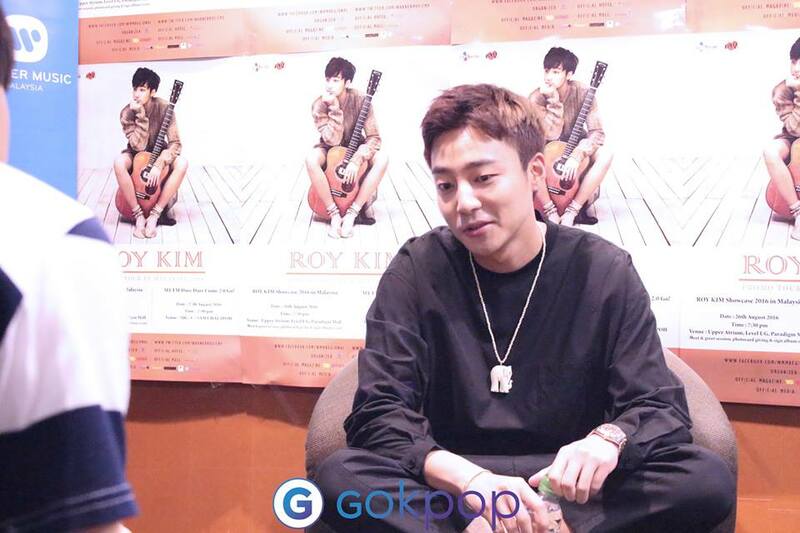 Check out the full interview below and get to know more about Roy Kim! What was the first thing that came into your mind when you first heard that you’re coming to Malaysia for your album promotion? Roy: I expected the tropical weather, I expected a lot of trees , a lot of plum trees , a lot of really nice resorts. But, the experience that I have here was just a big city with nice recommendation. I wanted to meet my Malaysia fans too so I was happy for that. Among the albums that you have released, most of the songs genres are folks tune, ballad which are pretty relaxing and comfortable to listen to but is there any other genre that you would like to challenge? Roy: Yeah, I’d like to do jazz, futuristic rhythm based songs like jazz hiphop I would like to try. Every now and then, whenever it’s spring, your songs “Bom Bom Bom” is still being played almost everywhere in Korea. Do you have any plan to release any song for other season? Roy: I try, I did actually. ‘Love Love Love’ was for summer, and ‘The greatest dipper was for winter and ‘Home’ was for fall. But ‘Bom Bom Bom’ was the most viral. The Chinese song that you have covered recently ‘Tian Hei Hei’ by Stephanie Sun, your pronunciation is really great and the fans are curious whether you’ve any plan to release any other song in other languages than Chinese is the future? Roy: Definitely I’ve one in English and I want to do more in Chinese too but it’s not easy. Throughout your career, I am sure you have gone through some though moments. What’s the best advice you have received? Roy: I don’t really remember if there was any but I’m sure that helped every time that somebody advised me but I think usually I’m the one who advised myself, advised to myself to live a little bit above the emotions. Congratulations on your recent win on King of Mask Singer, what inspired you to join the project and what’s your feeling when you’re crowned as the winner? Roy: I guess this summer I didn’t have any plans to release my album and I thought if I’m not going to release an album why don’t I just try to go on a lot of tv shows, because so far I’ve tried to move away from tv shows so I didn’t show up a lot of those but this break I’ve tried a lot and King of Mask was one of them and I definitely did not know that I was going to win because a lot of idols their technique are more focus on that kind of show and I don’t think I’m not that enough. But I was shocked and happy for the win. How was it like to balance your life between your singing career and studies? Roy: I think not only I want to graduate also I want to have a life not as a singer and as a celebrity because is always hard to keep both eyes to being a singer and being not celebrity but just a normal person. And I’ve seen a lot of cases where somebody loses as a celebrity for a long time and that’s all they do, they lose the side of other people who views those person as a celebrity. So I try to balance out my life as a celebrity and as just a normal person so that I could always keep my stands as just a normal person that likes to sing. 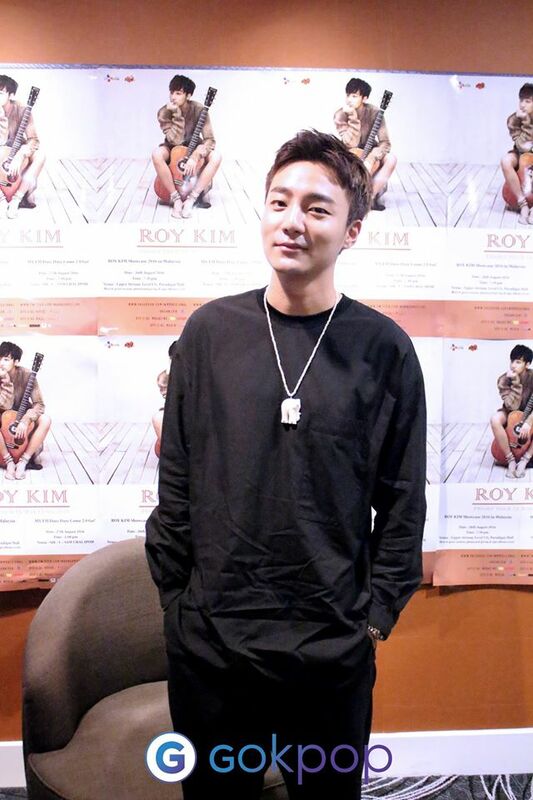 Despite having a very tight schedule, we would like to thank Roy Kim for spending some time with us for the short interview and we wish you all the best in your studies. Hope to see you again (hopefully) with a full scale concert in Malaysia. Lastly we would like to thank Warner Music Malaysia for selecting GOkpop as one of the official media and arranging this exclusive interview for us.